The 15 percent of total votes obtained by the Sri Lanka Freedom Party (SLFP) at the recent local government (LG) elections, would be a deciding factor at the next Presidential and provincial council elections, Ports and Shipping Minister and SLFP Vice President and Media Spokesman Mahinda Samarasinghe said recently. Addressing a meeting of the Minuwangoda electorate’s SLFP Bala Mandalaya (central organisation), he said the 15-percent vote garnered by the SLFP would keep increasing as a result of the new reorganisation plan launched by the party. The SLFP’s 15-percent vote would therefore become a deciding factor for a President to gain 50.1 percent of total votes to be elected at the next Presidential election. At the next Parliamentary election too, one would have to gain the SLFP’s 15-percent vote to form a government, he said, adding that at present, certain individuals had flocked behind the Pohottuwa party due to the attraction towards former President Mahinda Rajapaksa. “However, Rajapaksa could not be in politics forever; he would have to retire one day, and what would be the fate of the Pohottuwa party then, without a leader?” he questioned. The minister said the Pohottuwa was puzzled today due to the inability to name its next Presidential Candidate. The utterings made by Parliamentarian Kumara Welgama proved that he was not supportive of Gotabhaya Rajapaksa being the next candidate. There were many others undecided like him as well, he added. 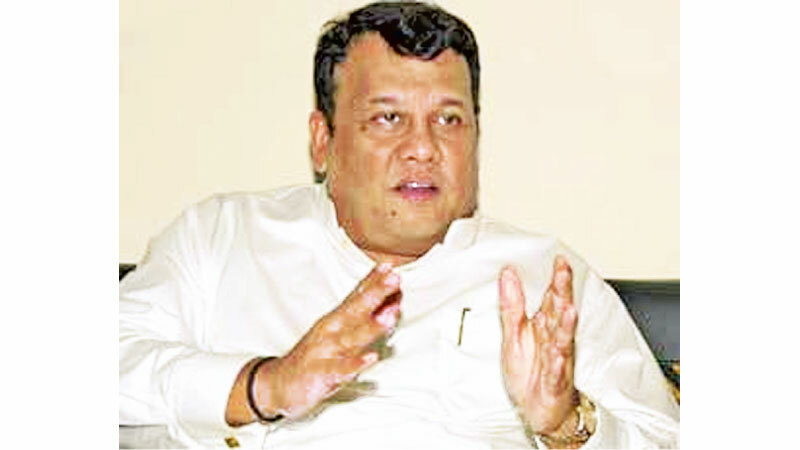 Minister Samarasinghe said that during the last Presidential election, he rendered a dedicated effort to help former President Mahinda Rajapaksa win the election by addressing rallies countrywide, but in the end, Rajapaksa came a cropper, adding that if Rajapaksa could not win back then, how could he wish to win this time? The minister said that all those who had been drawn to the Pohottuwa party would finally end up in the SLFP. Minuwangoda SLFP Chief Organiser Ruwan Ranatunge and Western Provincial Council member Lionel Jayasinghe participated in the event.